Join us on the second Saturday of each month to complete this beautiful Aged Muslin quilt. Stargazing is a 10 month block of the month to make a 92” x 92” quilt. Marcus Brothers Aged Muslin are rich, saturated hues of hand dyed fabric that are sure to make this quilt become a Star! Aged Muslin is a special dyeing technique that creates a faded, distressed look that gives the cloth its rich suede-like appearance. Stargazing consist of 12 star blocks and unique sashing that form a secondary design. 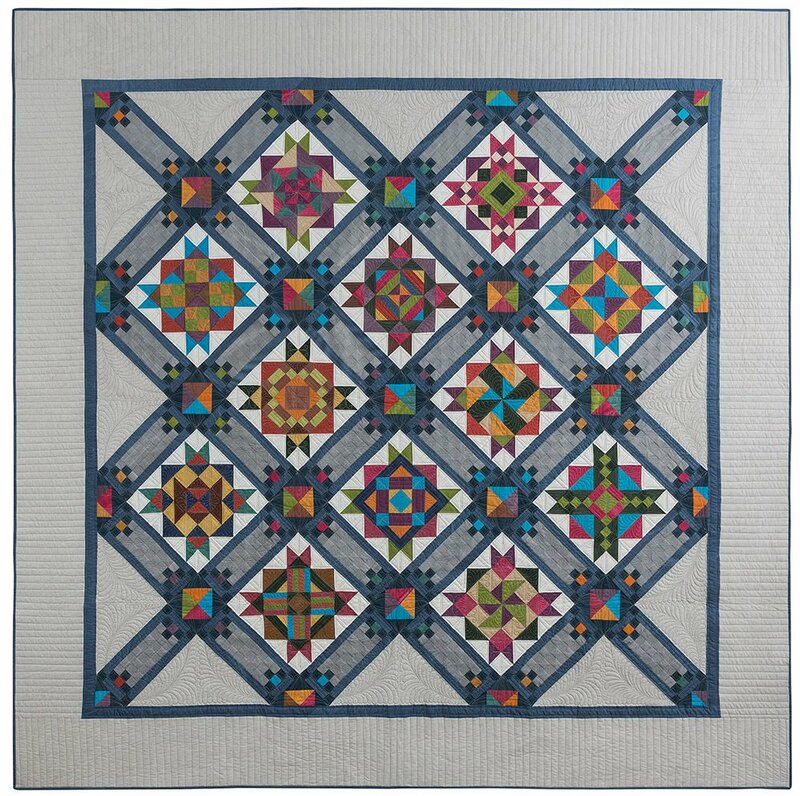 Each month you will receive the fabric and individual patterns necessary to complete the 73 blocks in the quilt center, along with all the fabrics for the diagonal setting triangles, outer borders and binding. This BOM is very organized and keeping up with monthly cutting and piecing will keep you excited and interested all year. We look forward to having you join us starting in February for this lecture/demo class that is sure to help you master and complete this beautiful quilt.